We’ve had some fun the last couple days making a couple of stops to promote our new book. Our first interview was Monday morning at Sacrament’s NPR affiliate KXJZ. 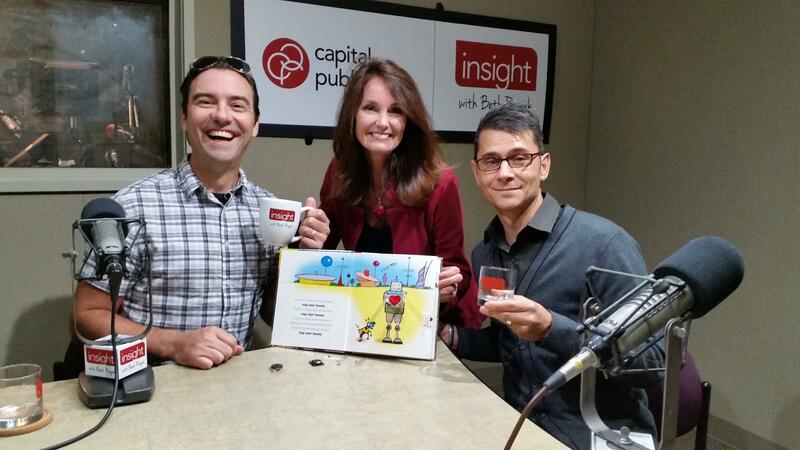 We got to sit down once again with radio host Beth Ruyak on her show Insight. We always have a good time goofing around with Beth and she’s so easy to talk to and really seems to be into what we’re doing. But you don’t have to take our word for it, you can listen for yourself. KXJZ Pro Tip: When you’re in the green room there’s tea and water and coffee. All the mugs and glasses have the station logo on them and are pretty cool (see above photo), and if you use them THEY LET YOU TAKE THEM HOME. I suspect everyone who works there has better stuff to do with their time than clean dirty mouth prints off of cups. Wednesday we headed down to channel 10, the local ABC Affiliate, to do a show called Sacramento and Company. 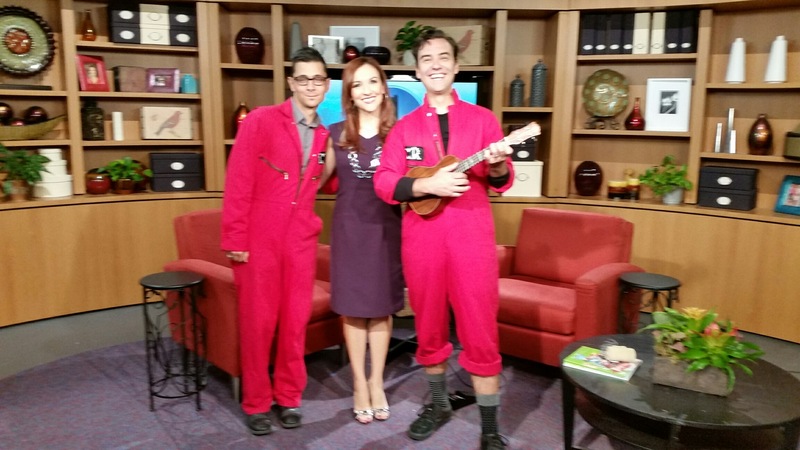 It was our first TV appearance and we had such a good time goofing off with host Melissa Paul. And wouldn’t you know it, there’s video of that online. Along with us was Fairytale Town’s executive director Kathy Fleming to discus the upcoming Scholarshare Book Festival this weekend. 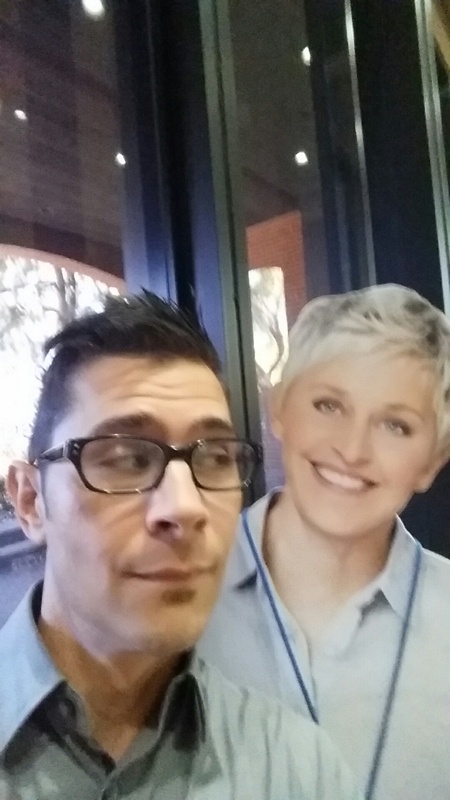 The big surprise of the day was when ScottBot was trying to snap a selfie in the lobby, as he always does, and got photobombed by Ellen! This entry was posted on September 24, 2015 by jason adair.